Every so often, I am surprised by a company that dramatically changes its industry. And, I wonder to myself: How did they do it? My business reading list this year took me to a business classic called The 22 Immutable Laws of Marketing. The authors, Al Ries and Jack Trout, provided an answer to my question. They wrote about creating a new category for a type of product or service that’s already being sold. As an example, Ries cited the introduction of the Michelob brand of beer years ago. For a number of years, American brewers envied the success of Heineken as a premium import brand commanding top dollar. The marketers at Anheuser-Busch decided to develop a premium domestic brand category in hopes of replicating Heineken’s success. Michelob became the premier domestic brand, and it transformed the way beer was marketed in the U.S.
Law 22 of The 22 Immutable Laws of Marketing is the “Law of Category.” It suggests that if you can’t be first in your category, you ought to create a new category for which you can be first. It sounds crazy, I know, but it works—and here’s why. Marketing consultants will tell you that surprisingly few people are interested in a product that supposedly improves upon the established leading product in a category. On the other hand, everyone is interested in what is new. By creating a premium domestic category, Anheuser-Busch used its talented marketers to define the category and portray the lifestyle that went with it. They succeeded in a big way, achieving an upscale pricing structure that far exceeded the dreams of most domestic brewers. A more recent example with which I am familiar is the Under Armour brand of athletic wear. For years, I had used the products of a company called Pro Player, which made underwear and socks for athletic use. Its products were used by football players and other athletes, but Pro Player never really became a household name with the general public. Under Armour created a new category in the same market space by incorporating “wick and dry” properties into its products. A challenge for athletes is to remove substantial amount of perspiration so it doesn’t hinder a competitor’s performance. Cotton garments tend to trap that moisture. Under Armour developed a means of dissipating the moisture. In doing so, the company became the leader in a new category: athletic wear that stays fresh and dry. Its marketers made the most of the products’ functional advantages, but also began to describe the company’s apparel as “attitude clothing.” Can wearing athletic gear really change a person’s attitude? Yes, if the wearer believes it can. Under Amour played up the idea of its customers being underdogs and fierce competitors. It captured the company’s place in the broader sports apparel market, as well as the aspirations of its customers. Okay, so there is evidence that creating a new category works at the national level. Do the same principles apply to a local or regional business? I believe they do. In metro Atlanta, a dental practice created its own category years ago by re-branding as “The Gentle Dentist.” It definitely captured the attention of people who were afraid of dentists. Here’s another example: After years of hearing about $30,000 kitchen renovation projects, along came Frugal Kitchens & Cabinets to meet the needs of homeowners who didn’t have big money but still needed to update their kitchens. The business reached a whole new group of buyers by focusing on the less affluent market sector. The opportunity exists for any business to create its own category and improve its fortunes. If top-line revenue growth is your challenge, ask Trillium Financial how to re-position the business to attract new customers. 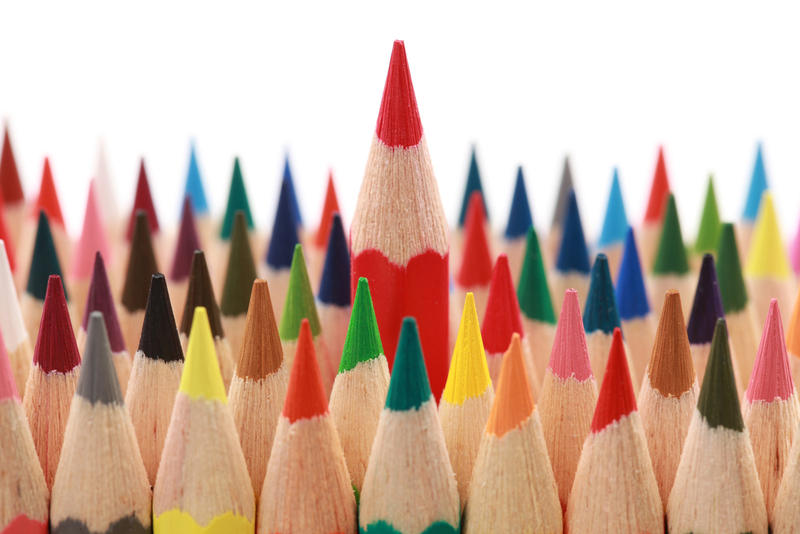 How can your product stand out from the crowd?